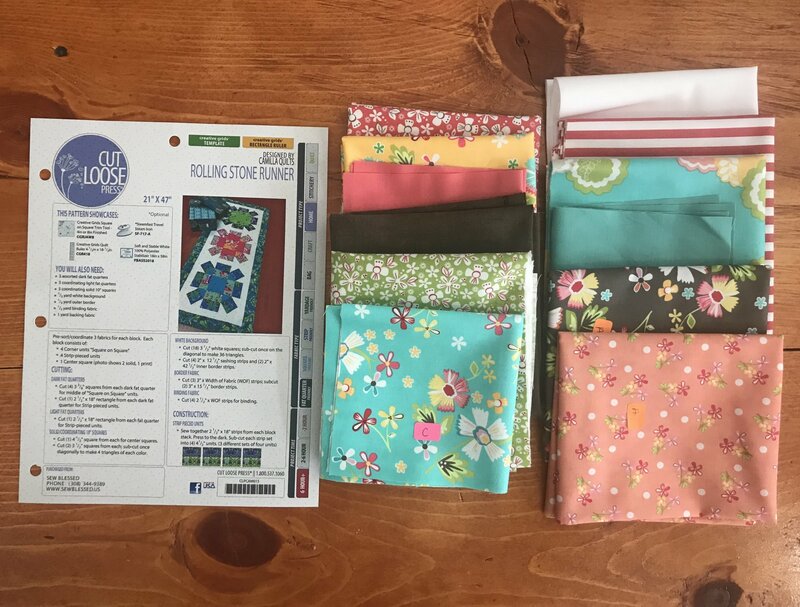 Rolling Stone Runner kit includes fabric for the front and binding of the runner. This pattern uses the Creative Grids Square on Square ruler (not included.) Backing and batting not included. Finished size is 21"x47".